Find one or more favorites among as many as 8 different scents. Each one is unique and specific in its own way. And has won many awards. 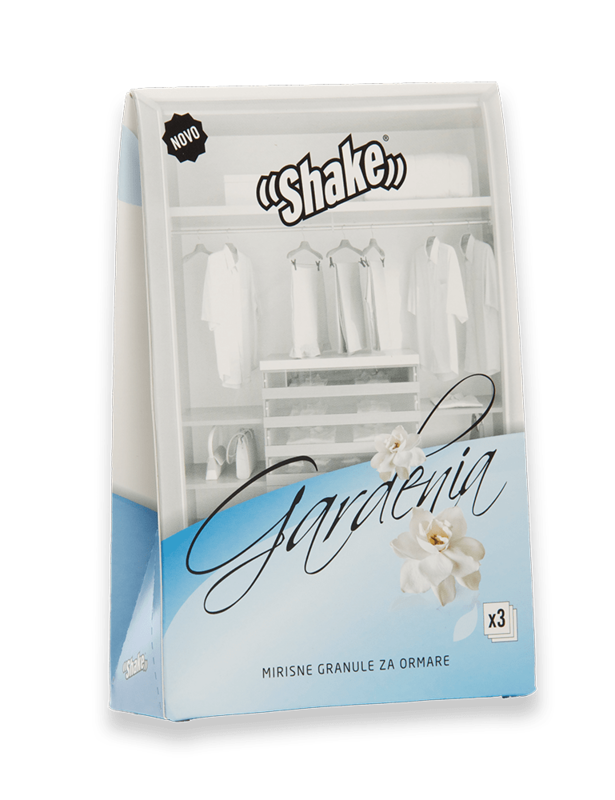 “Shake” perfume granules for closets contain 100% natural granules enriched with fragrant compositions based on essential oils. This manly but light fragrance will satisfy both men and women’s taste. 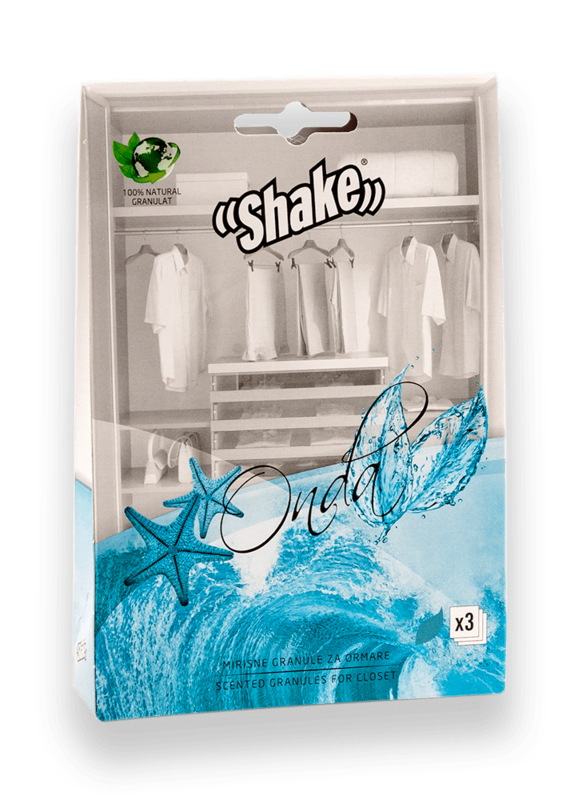 Scent with an interesting, fresh and breezy note. 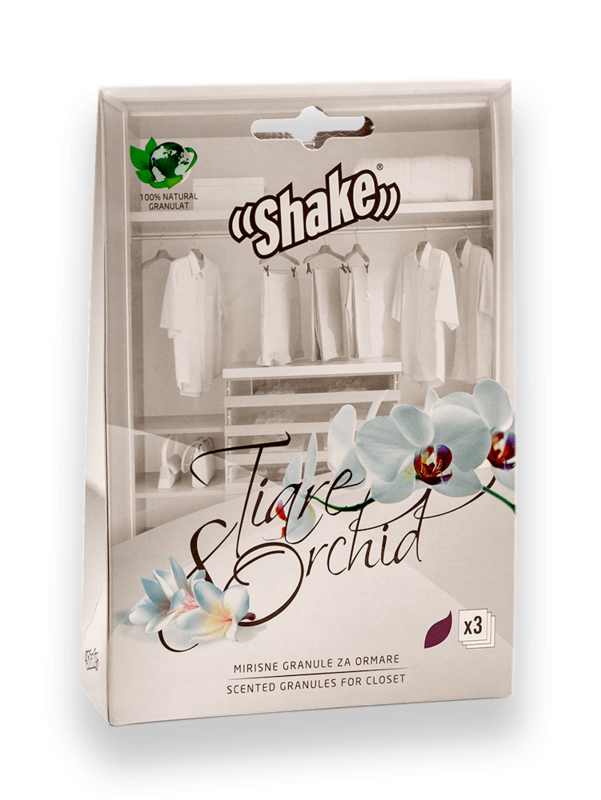 With this interesting combination of sweet, intensive Tiare flower and clean orchid fragrance your wardrobe will smell exotic. 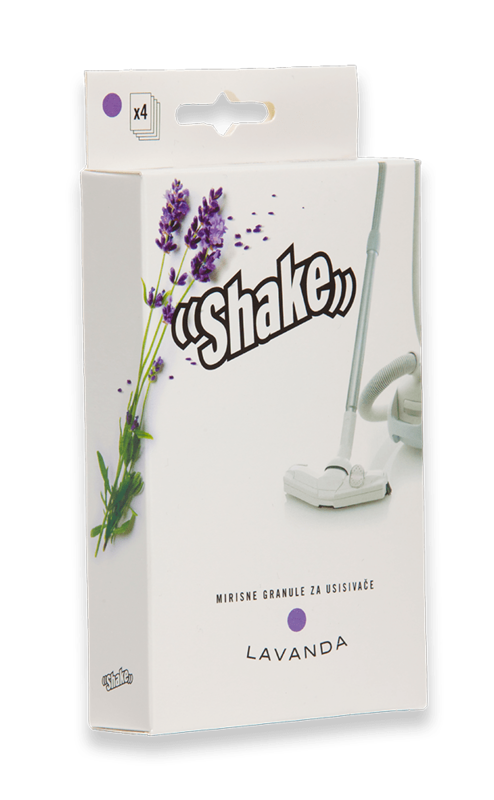 Special and delicate scent of vanilla enriched with shea butter note. Sophistication, lightness and gentleness are the main notes of this scent. 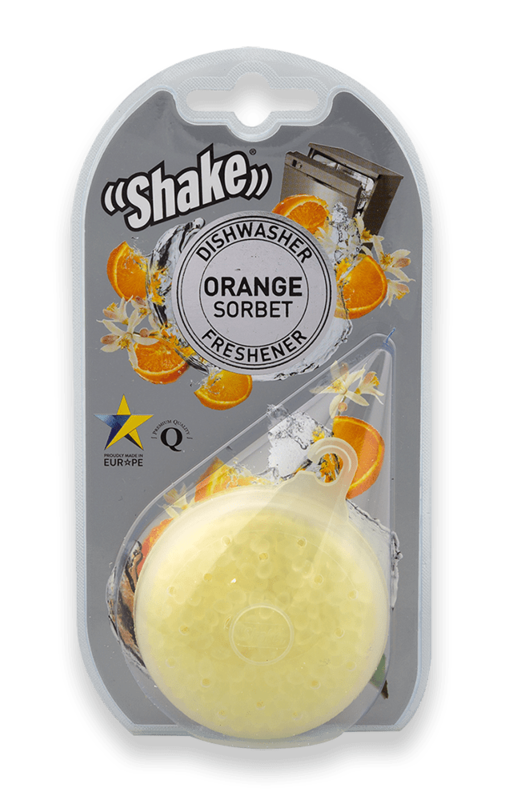 A light, nostalgic scent which will make your clothes fresh for a long time. A light and refreshing scent which will immediately enchant you. 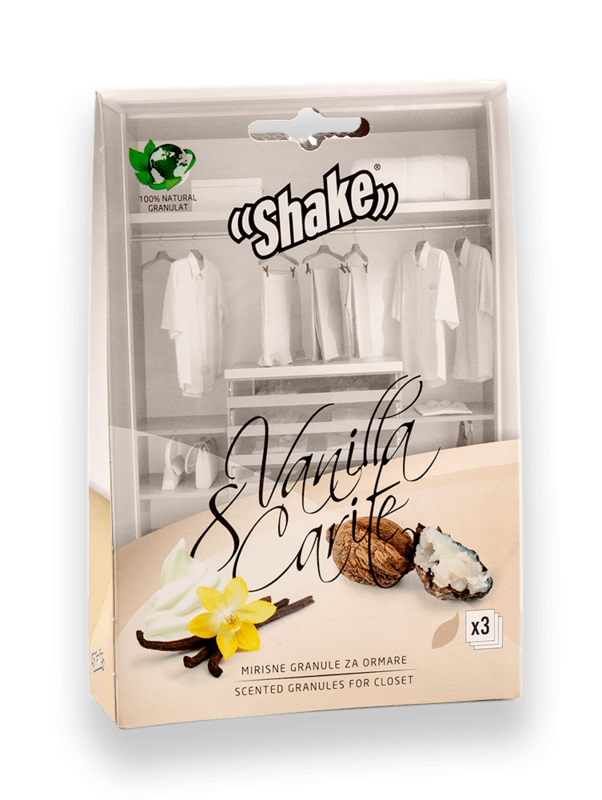 If you like warm and aromatic scent of nature, this combination is just right for you. USE: Remove perfume sachets from the protective sheet and place them in a drawer, clothes chest or closet. 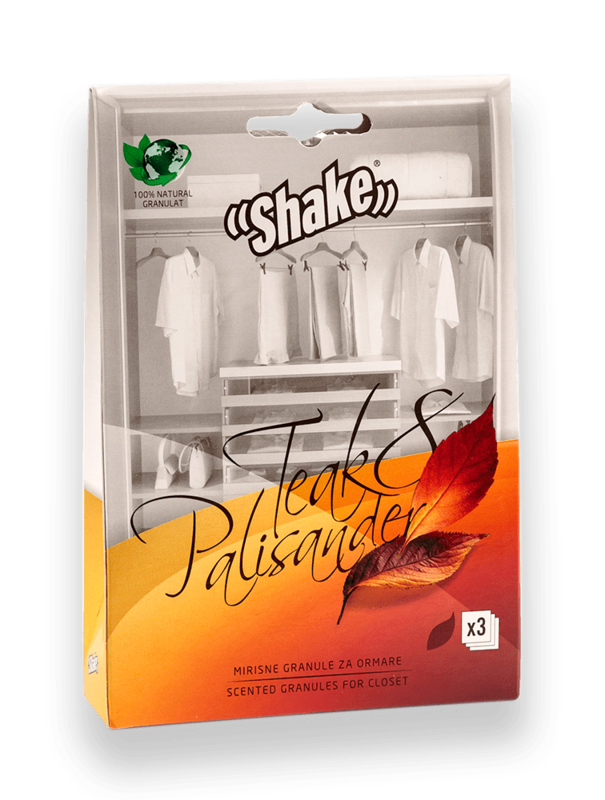 If you wish to hang the sachets in a closet, use the hooks provided with the product as shown in the picture. For small spaces, use one sachet, and for medium-sized and large spaces, use at least two sachets. WARNING: Do not use sachets in the washing machine or dryer. Avoid direct contact between perfume sachets and varnished surfaces, clothes and underwear.